E-BOOK NOW AVAILABLE FROM DAMNATION BOOKS, AN IMPRINT OF CALIBURN PRESS! Isolated in an institution for twenty years, Thomas Atwater has grown up away from the horrors of the Mutation Plague that swept the globe after the Final Transmission was sent. Now an adult, he makes his way into a strange new world inhabited by mutant communities, cults, and genetically engineered assassins. When he finds himself targeted, he is taken in by a mysterious woman - a humanoid salamander - who claims to be a bodyguard sent by a secret group which hopes to use him to change the world. In order to make the journey to the group, they must locate pieces of a missing technological puzzle, then trek across a deadly contaminated wasteland while avoiding human supremacists and the programmed mutant hunters sent by the all-powerful Ordex conglomerate. 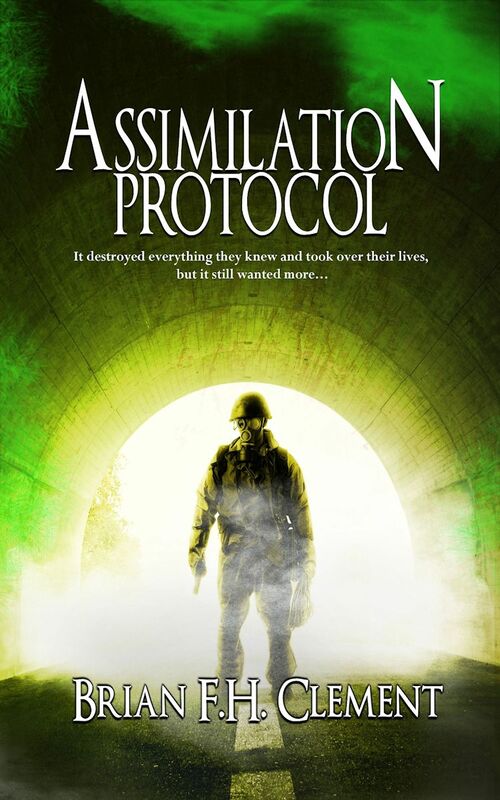 Assimilation Protocol is the sequel to The Final Transmission, and is a new horror/sci-fi thriller written by accomplished director Brian Clement, and is now available! If you review books for a sci-fi or horror blog or website, please get in touch by emailing brian (at) brianclement.com. Pre-release paperback review copies are now available!